Debt Collection Agency, Financial, Legal, Car Dealerships, Insurance Company, Order Desks, Sales, Telemarketing, Staff Training, Customer Care, Healthcare and Medical Providers. Support is fantastic, and call recording quality is spectacular. Very easy to use. Pros: I love the ability to capture a recording in a sound file that can be emailed to others to review. 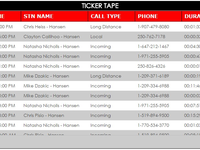 The vast array of call search options make it easy to find the recording I'm looking for. Cons: There's nothing I don't like about this software. It's been very reliable. We opted not to go with an audio AND visual recording system - instead opting for audio only - and I find that there are times that I cannot properly determine what an agent was keying on the computer in conjunction with the phone call, however for quality control and Errors and Omissions protection, I can't beat this software! 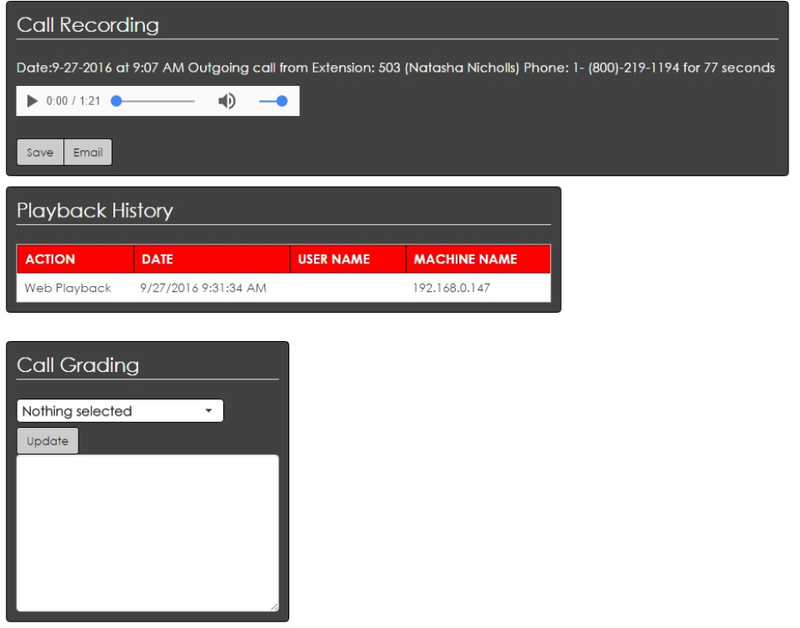 Overall: From this software, I have the benefit of a solid answer to the question "What was said during that call?" Very user friendly program, provides all options you could want! Pros: When searching for a program with our phone system, our phone vendor suggested this company and their product. We implemented it over 3 years ago and have been completely satisfied with how it has filled our needs. Their technical support team is top notch and always willing to help with whatever we might need. We were grateful for the referral from our phone vendor! Cash+ Call Recording software has taken the guesswork out of communication disputes! Comments: Primarily, Cash+ has been used in our office as a training and coaching tool. Calls are evaluated to ensure that we are meeting our service guarantee to our clients - and to track trends that need to be addressed. We've found, however, that there has been a 'fringe benefit" to our call recordings. 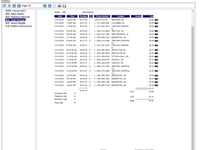 Prior to installing and using this software, we occasionally found ourselves in the position where our client and our employee had differing recollections (or simply no recollection) of conversations that affect important issues, such as their coverage options or payment arrangements. Now, when such a dispute arises, we are able to rely on the call recording to determine the facts. I can't stress how useful this has been in resolving "he said/she said" disputes. 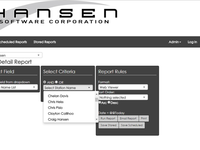 On the down side, the occasional recording will be "split" into two separate call records in the Cash+ System (caused by a quick loss of internet phone connection), however I must share that the service support team at Hansen Software has always been able to recover the "missing part" of a call, and done so promptly. 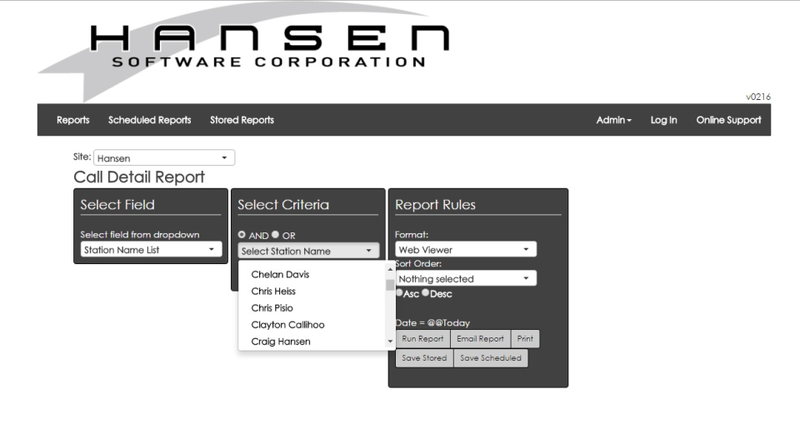 Hansen's service team assisted me with the set-up of daily and weekly phone reports, and took the time to walk me through the report set-up procedure so that I can handle this task on my own as I seek out new or customized information gathered by the software. I'm always greeted with a cheerful offer of assistance when I call or log in for remote support. Pros: The ease of use. 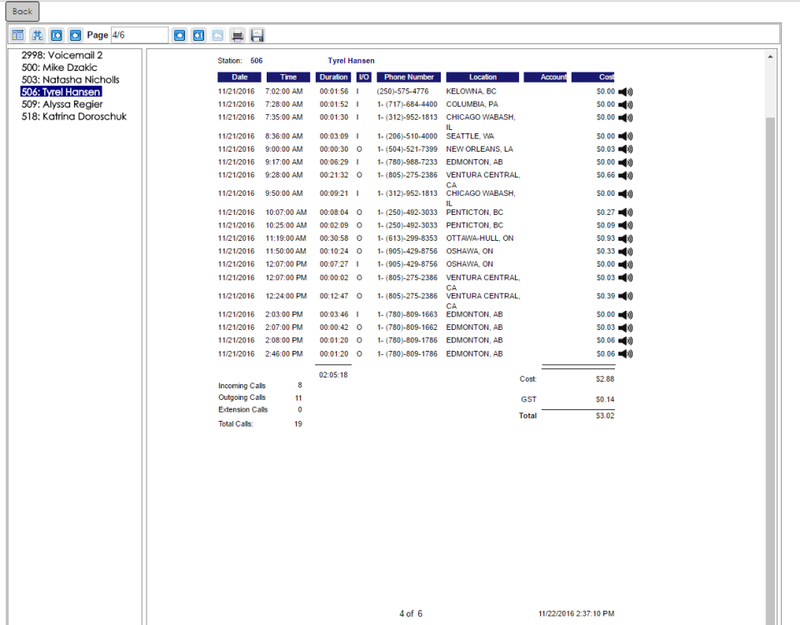 The call accounting and recordings are accessible for the dashboard. Cons: So far there is nothing that comes to mind. The only thing that I can think of is the email notification that we get over the weekend. We are closed and I am not sure there is a way to setup a schedule to not alert over the weekend. Overall: Both products we use in one software package. Thank you for taking the time to review the CASH+ Call Recording. We do have the ability to adjust the notification to not notify you on certain days. I will have a technician reach out to you to make the necessary changes. Comments: The software integrates with our PMS great, but more importantly, their customer service (on the rare occasion we do need assistance) is top notch. I can usually get someone on the phone who knows exactly what they're doing within 5 minutes of dialing. They follow through on the issues completely, and follow up to make sure everything is still up to standard a few days later. Awesome service, great product that integrates perfectly with our systems. It was very stressfull finding the right company but I feel like i hit the jackpot. Comments: I dare anyone to find a better call recording software, I am a very picky person and I have called about 8 other call accounting and recording software manufactures and spent lots of time on research and let me tell you this system is amazing, it is easy to use, works and is very reliable, and the price is unreal. 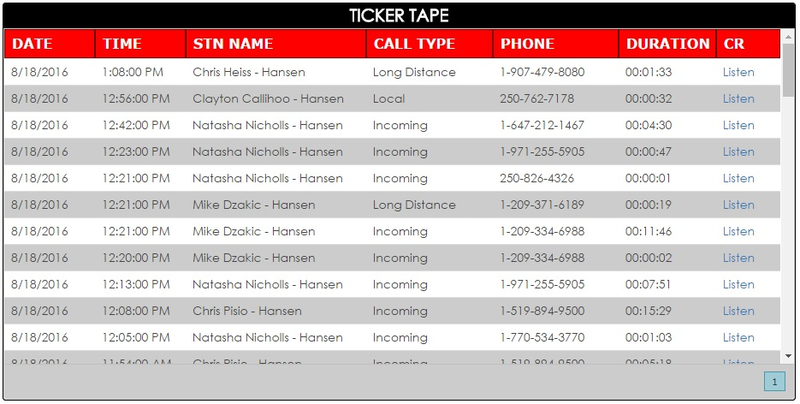 if you are in the market call them first, do a quick demo and then try to find a better system. Comments: I have compared the features, support and cost with other companies, and this software is great all around. Comments: Excellent customer service. Excellent product.